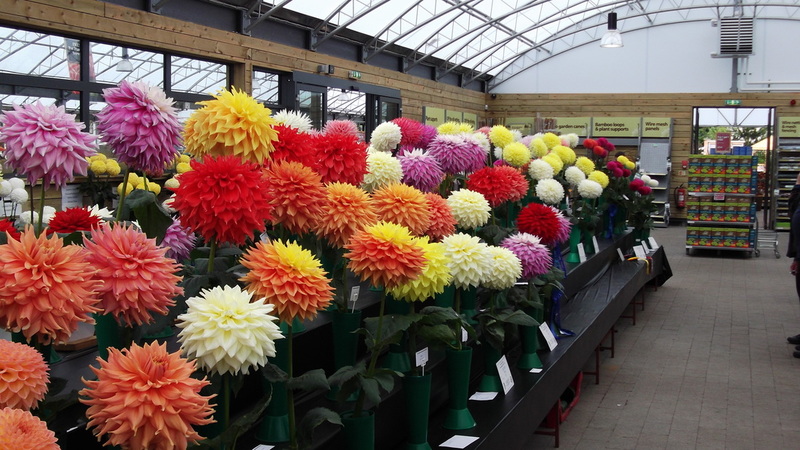 Members of the North West Dahlia Society do not just show at our annual show but also all around the UK. Our committee members tend to show around our local shows in the area. Quite a few village shows are affiliated to the National Dahlia Society, going back to the days when there were more growers in the area, but quite a lot of our members travel all over the country showing. They attend the three National shows: Wisley [as it is now known], Harrogate and the Scottish National, as well as shows such as Southport, Midlands, Grey Mare and many more. We are fortunate in having a few National Champions in our society. The show period lasts from mid-August with Southport, until Malvern in late September.